Whether you just bought a fireplace, are planning to buy a stove, or just need to replace the pipe for an old unit in your house, choosing the right venting components is critical for both proper performance and safety. In this article we will discuss the basics about the different types of vent and chimney pipe that are used on these hearth appliances. Every new vented gas fireplace, wood burning fireplace, vented gas or wood fireplace insert and stove have specified requirements for the proper venting components as determined by the manufacturer. Every new vented gas fireplace, wood burning fireplace, vented gas or wood fireplace insert and stove have specified requirements for the proper venting components as determined by the manufacturer. Specific brands or types of pipe apply to a particular category. For example, you would not use the same pipe on a wood stove as you would for a vented gas fireplace. Purchasing the correct chimney components is absolutely essential. A frequent misconception we see often is a homeowner or contractor assuming that existing chimney pipe from an old fireplace can be used on a new model, especially if the pipe diameter used on the new unit matches the chimney that is already in place. However, this is a truly rare occurrence because most old chimney and vent systems are no longer used with new units. Older fireplaces and stoves may not have such listed options or may require that a particular brand be used, so the ideal venting components will be determined by the size of the combustion chamber and the flue collar on the unit. If you are trying to replace part of the venting system, you will need to find the exact same brand of pipe, which is often difficult and sometimes impossible if those parts are discontinued and no longer available. The fireplace and stove industry is littered with manufacturers who have gone out of business, and one of the most common issues we deal with daily here is trying to find the appropriate parts for a 20+-year-old fireplace or stove. Sometimes this can be done if the parts are still available from the original manufacturer or an active company that has purchased the original manufacturer. In the latter case, it is possible the parts needed for an old unit can be special-ordered. If you are trying to replace part of the venting system, you will need to find the exact same brand of pipe, which is often difficult and sometimes impossible if those parts are discontinued and no longer available. warning: Misinformation and mistakes can be deadly when dealing with hearth products and vent pipe. If a vent system does not meet the manufacturer's requirements and/or local codes, the consequences may be severe — including possible carbon monoxide leakages and chimney fires, which can result in death, serious illness and significant property damage. Before we discuss the particulars about choosing the correct venting components, we must first acknowledge the emergence of the vent-free hearth appliances over the last few decades. The term "unvented", "ventless" or "vent-free" is applied to hearth appliances that burn gas (natural gas or propane) and do not require any kind of chimney or vent system. This terminology is also used to describe other niche-type fireplaces such as electric and ethanol models. Indeed, the evolution of clean-burning gas technology has created an alternative option for consumers who do not want to install a chimney due to logistical difficulties or budgetary concerns. However, there are several issues to consider before going this route (which is why we always recommend a vented system if at all possible). Before we even get to those, you should note that some areas of the United States (such as the entire state of California and parts of many other states) have outlawed the use of indoor vent-free gas appliances across the board. Unvented units are also not permitted for use in Canada. There are a few main concerns with vent-free gas fireplaces, stoves, and inserts that should be scrutinized before making a decision, none of which apply to a vented fireplace. First, the vast majority of consumers of vent-free gas appliances report a noticeable odor emanating from the burner. This is particularly an issue to those with a strong sense of smell. To most this is simply a nuisance, but sometimes the scent can be strong enough to warrant worries of a gas leak even when this is not the case. The vast majority of consumers of vent-free gas appliances report a noticeable odor emanating from the burner. Second, the clean-burning vent-free fireplaces are meticulously engineered to achieve complete combustion, but with no vent, the exhaust has nowhere to go except back into the room. While this produces harmless water vapor and carbon dioxide (not poisonous carbon monoxide), this can be a problem in small rooms. In some cases, particularly with propane as the fuel, excessive amounts of water vapor can create condensation on windows and moisture on curtains that can result in mildew or mold if not dried properly. Finally, another drawback to vent-free units is the lack of realism. Since these models must burn cleanly, a ventless log set or unvented gas fireplace is not going to produce the same flames seen in a real wood fire, and these also cannot match the more realistic effects seen in a vented gas fireplace. Some of these concerns are mitigated in certain situations, such as installation in a large, open room or a room that is always open to at least one other room. But while the convenience and economic benefits of a vent-free unit can be appealing, we recommend a vented fireplace in almost every situation. For more information and details on the pros and cons of vent-free gas hearth appliances, please see our Gas Fireplace and Stove Buying Guide. Another frequent point of confusion in the hearth industry is the differentiation of the terms "fireplace" and "insert". In short, a fireplace is a manufactured unit that can be framed in a wooden enclosure, a wall or a mantel cabinet, whereas an insert is a model that must be installed inside an existing and operational fireplace. For the purposes of venting, the key difference is that a fireplace must have a dedicated chimney or vent system that can be located within 2 or 3 inches of combustible materials (such as inside a wood chimney chase or near an exterior wall), but an insert requires use of chimney liner that runs within an existing, functional, fully non-combustible chimney (such as a brick chimney with a clay or terracotta flue or a stainless steel pipe). 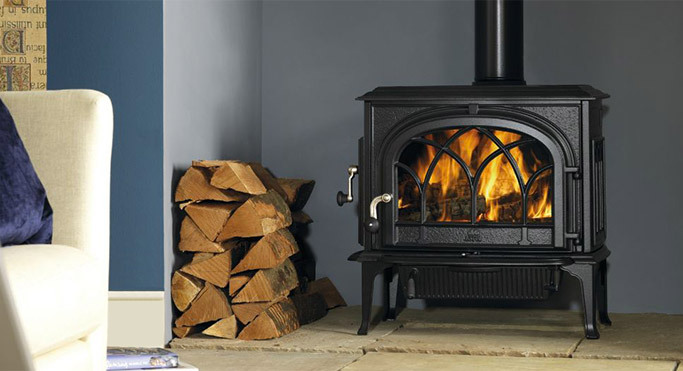 A solid-fuel appliance, such as a wood burning or coal-burning stove, uses Class A chimney pipe, which is made to withstand the higher flue gas temperatures produced by that fuel. For instance, a direct vent fireplace uses coaxial (a double-wall, pipe-within-a-pipe system) gas fireplace vent that can be terminated either horizontally on an exterior wall or vertically over the roof, but a direct vent gas fireplace insert uses a co-linear (side-by-side) aluminum liner (usually two 3-inch diameter liners) system that connects to the insert and runs within the existing chimney, all the way to the top. Similarly, a wood burning fireplace requires a double- or triple-wall stainless steel chimney pipe, but a wood burning fireplace insert can use a single-wall stainless steel chimney liner within the chimney that is already in place. It is paramount that the proper type of chimney or vent pipe is used with the corresponding appliance, and now we will take a closer look at these different categories of vent pipes. Each hearth appliance requires a particular type of vent pipe, which are categorized accordingly. For example, a solid-fuel appliance, such as a wood burning or coal-burning stove, uses Class A chimney pipe, which is made to withstand the higher flue gas temperatures produced by that fuel. The inside wall of these double- or triple-wall pipes is stainless steel for this purpose. Direct vent fireplaces, on the other hand, use natural gas or propane as their fuel, and the exhaust fumes are significantly less hot. As such, the direct vent gas pipe that is used on these units has an aluminum inner wall. 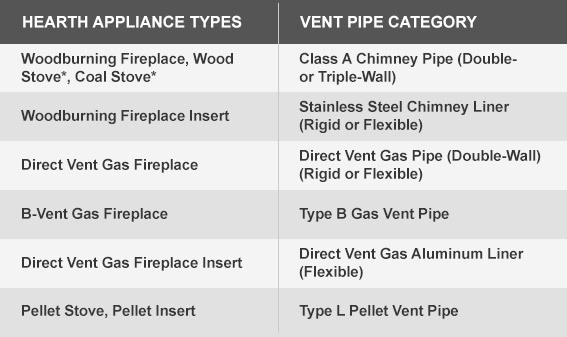 Please see a list of hearth appliance types and the respective required category of vent pipe used on each in the table below. We have these categories organized in separate groups on our Chimney Products page. *Freestanding wood and coal stoves utilize chimney connector (stovepipe), which is single- or double-wall black pipe that is connected to the unit and then run either vertically to the ceiling or horizontally to the wall before it must be transitioned via the appropriate adapter to Class A Chimney Pipe. If you are interested in purchasing a model from our website, or if you have already purchased one locally but you need the necessary venting components, you can fill out our Chimney Pipe Design & Quote Form for a free itemized estimate. If you provide the correct manufacturer and model information, we will be sure to quote appropriately-listed materials and eliminate much of the hassle for you. We will also verify, if possible, whether your proposed vent configuration is acceptable per that model's listed venting requirements. In any hearth appliance installation, for the unit itself and the chimney system, maintaining the proper clearances to combustibles is the most important aspect. With regard to the chimney, the different types of vents have varying clearances. In any hearth appliance installation, for the unit itself and the chimney system, maintaining the proper clearances to combustibles is the most important aspect. Class A chimney usually has a 2-inch clearance to combustibles, and a type B gas vent normally has 1-inch clearance. Vent pipe for a direct gas fireplace is unique. It typically has a 1-inch clearance when it is run vertically, but when it is run horizontally the clearance requirements vary. In some cases, the horizontal sections of pipe still have a 1-inch clearance to combustibles from the sides and bottom, but from the top of the pipe, it can be up to 3-inches and possibly more, due to the hot exhaust fumes rising within the vent. The diameter of the vent pipe used is also specific to each model. Every fireplace, stove, and insert will use pipe or liner that should be sized according to the diameter of the flue collar(s) on the unit. Please note that verifying the diameter needed should never be the primary or only consideration when looking for vent pipe because the components used must fall within the correct category as listed in the above table. Simply measuring the flue diameter needed without verifying the proper category or listed and compatible components is one of the most common mistakes made when purchasing vent pipe. This is particularly common when homeowners or contractors are trying to retrofit new chimney parts on to an old chimney system. Never mix-and-match chimney sections of different brands/manufacturers, even if the diameter(s) of the pipes match. Different types and brands of vent pipe utilize proprietary connections, usually a twist-lock system that seals the pipe lengths and elbows together. Therefore, it will be impossible to properly connect two different kinds of vent pipe, even if the diameters are the same. An installer should never try to "make it work" by crimping, sealing or welding two pipes of different brands/categories together. Simply measuring the flue diameter needed without verifying the proper category or listed and compatible components is one of the most common mistakes made when purchasing vent pipe. Flue pipe increasers and decreasers, which are components that change the flue diameter, are never recommended unless absolutely necessary (and allowable within the manufacturer's requirements for the model) or if needed for a particular configuration (the use of an increaser for a pellet stove or insert is fairly common). The overall height of the vent system is another factor to be considered for vented fireplaces that terminate vertically over the roof. Each fireplace, stove, and insert will have a listed minimum and maximum chimney height based on the unit's need for sufficient draft. Therefore, even if the manufacturer's requirements for a vertical termination are met, the minimum chimney height must be satisfied for proper operation of the appliance. This is a common issue with wood burning fireplaces in single-story homes with a chimney above a low-pitch roof. Each fireplace, stove, and insert will have a listed minimum and maximum chimney height based on the unit's need for sufficient draft. 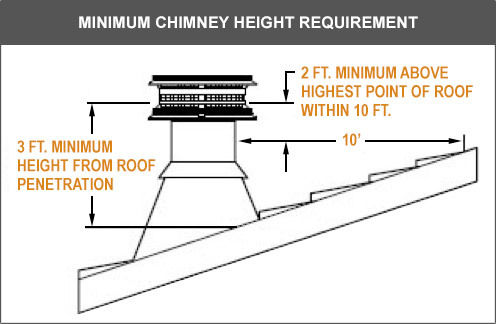 Minimum and maximum chimney height requirements and restrictions may be subject to change depending on offsets within the system. As with the vent pipe category and the flue diameter, each appliance will also have guidelines dictating the acceptable offsets allowed within the chimney system. Class A chimneys do not allow elbows greater than 30-degrees (45-degrees in Canada), and the length of each offset is limited according to the model. Elbows cannot be combined to create larger offsets. The only caveat to this is freestanding wood or coal stoves utilizing chimney connector (also known as stovepipe) that is run horizontally through a wall can connect to a Class A tee, which in effect serves as a 90-degree elbow to turn the chimney vertical. Vented gas fireplaces are much more tolerant of offsets, but there are restrictions listed within each model's installation manual regarding permissible offset lengths, the number of elbows used, and length of horizontal run(s). For the most part, vented gas fireplaces allow the use of 90-, 45-, and 30-degree elbows. Moreover, most gas fireplace vent systems allow the use of flexible vent pipe, which of course can create any offset from 0-90 degrees. Every hearth appliance also has restrictions and requirements with regard to where and how the chimney or vent system ends. All solid-fuel fireplaces and stoves must terminate above the roof, following the "3-2-10 Rule", which states that the chimney must be at least three feet above the roof at the point of penetration (measured from the high side) and two feet above any obstruction within a 10-foot radius of the top of the chimney. Every hearth appliance also has restrictions and requirements with regard to where and how the chimney or vent system ends. This rule does not apply to vented gas fireplaces. B-Vent gas fireplaces must terminate over the roof like a wood burning unit, but the height needed above the roof can be as little as one foot depending on the model's requirements and the roof pitch (degree of slope). Direct vent fireplaces, meanwhile, can utilize a vent system that either terminates vertically over the roof or horizontally on an exterior wall. Again, the permissible terminations for every model are listed within the installation manual as determined by the manufacturer. At the end of these vent systems, a proper termination cap must be used. Class A chimney pipes have their own caps that are specifically designed for the particular brand and diameter. While there are universal caps available for these chimneys, use of anything other than what is approved by the fireplace, stove or chimney manufacturer could void the warranty of the appliance or chimney components. However, in the case of old chimneys when a cap needs to be replaced and a replacement is no longer available, these universal retrofit options are the only option. The same applies for B-Vent gas fireplaces. At the end of these vent systems, a proper termination cap must be used. Direct vent fireplaces, however, absolutely must have the proper termination component, as each one is designed to allow the intake of combustion air while safely removing exhaust from the system. Different caps are used for vertical and horizontal terminations, with both types usually having a couple of different options from which to choose for aesthetic purposes. As discussed earlier, all inserts will terminate at the top of the chimney wherein they are installed. 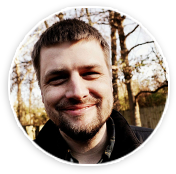 With a Bachelor's Degree in Journalism from Ole Miss, Tyler has worked here at eFireplaceStore since June, 2011. He is one of our National Fireplace Institute (NFI) certified technicians. Additionally, he is a Master Hearth Professional, which means he is certified in all three fields — wood, gas and pellet. When not at work, he enjoys spending time with his wife, Amber, and 7 children; Ashley (18), Nathaniel (14), twins Isaac and Jeremiah (10), David (5), Jude (4), and Andy (1).